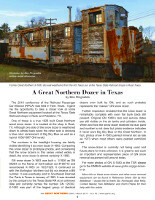 This is an Online Bonus gallery to the “A Great Northern Dozer in Texas” article published in the March 2017 GNRHS Goat. 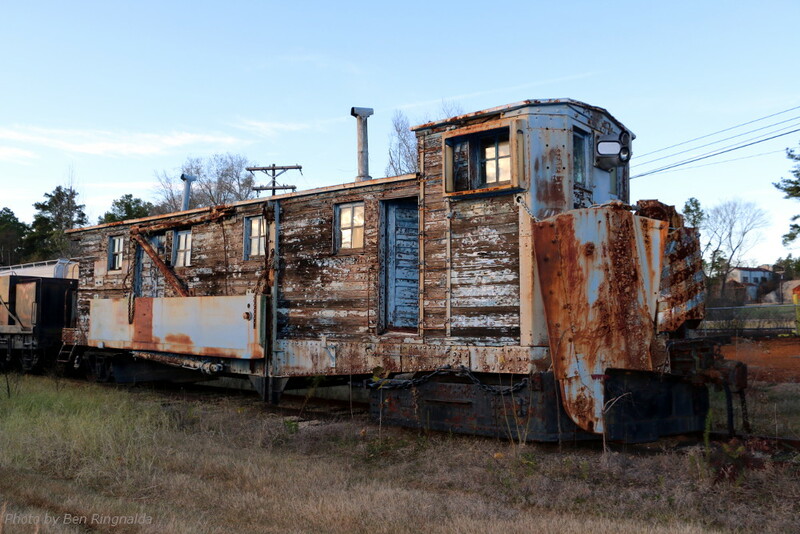 The Texas State Railroad is home to a true 1926-built Great Northern wood snow dozer. It is located at the shop in Rusk, TX. March 2017 Goat. 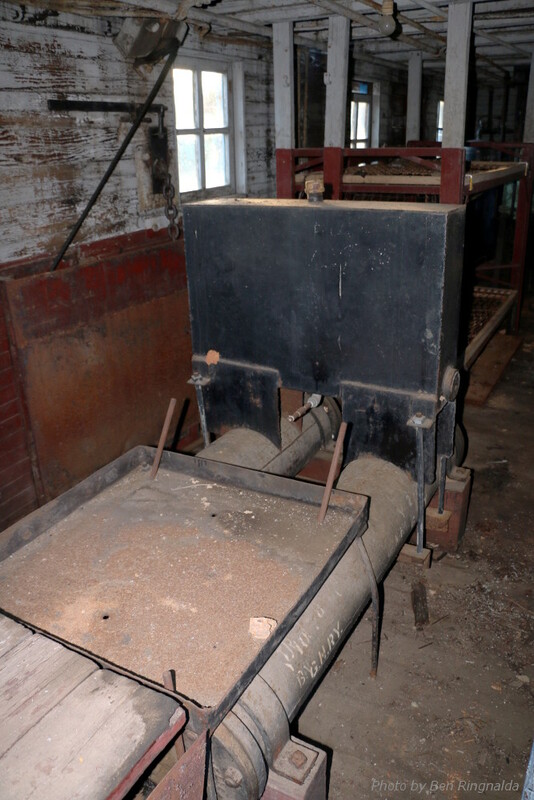 Click for more info. 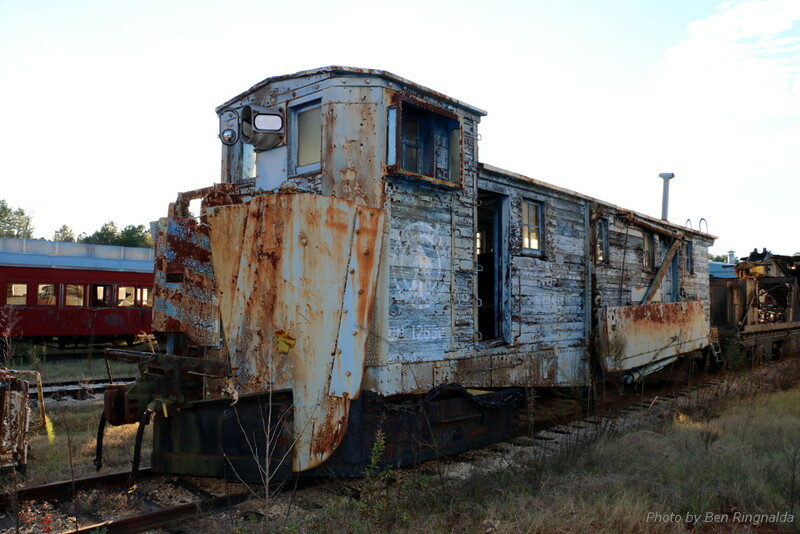 GN snow dozer X-1683 was built c. 1/1926 as GN 95264 on the frame of Hart ballast car #190710 and renumbered X-1683 on 10/2/1926. It continued on with the Burlington Northern but did not receive a BN number. 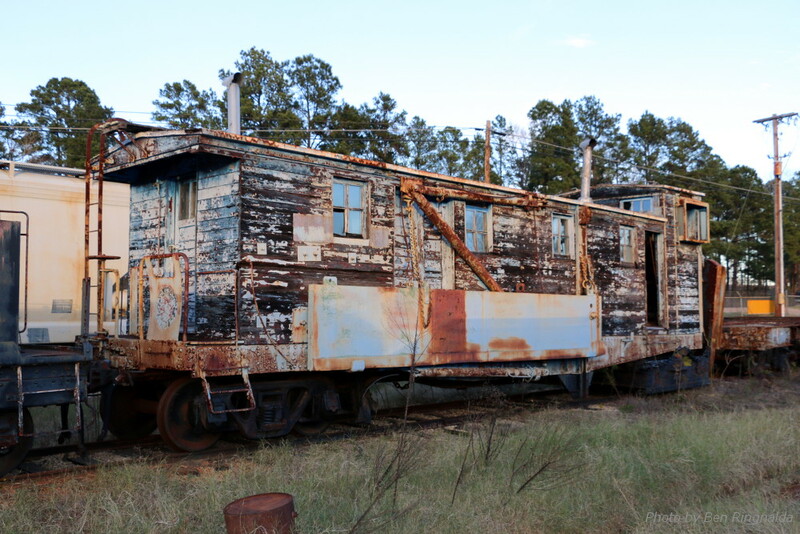 It was eventually sold to Southwest Railroad Car Parts in Texas in January of 1983. 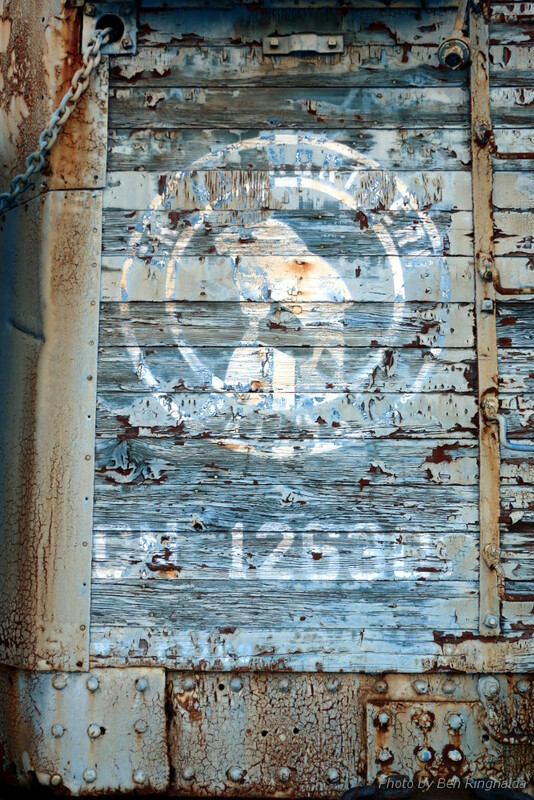 It was donated by the company to the Texas State RR at an unknown date and currently carries the number GN 126302. X-1683 was part of the largest group of identical dozers ever built by GN, and as such probably represents the “classic” GN snow dozer. 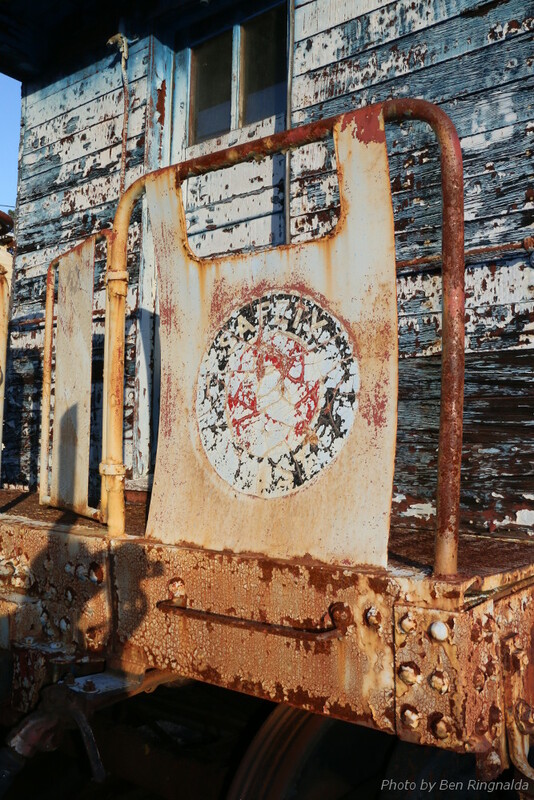 Former Great Northern X-1683 sits well weathered from the hot Texas sun at the Texas State Railroad shops in Rusk Texas. 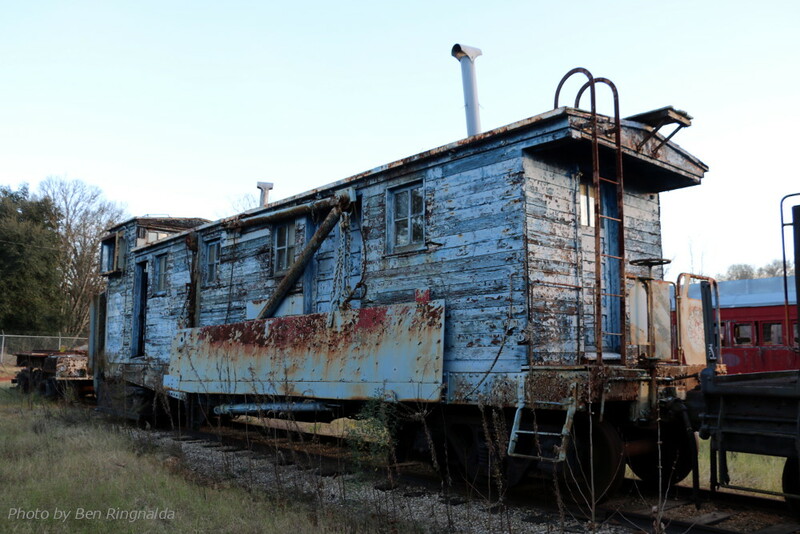 “Big Sky Blue” GN snow dozer at the Texas State RR in Rusk, TX. Rear view of X-1683 with original vermillion red paint showing through on the wing blade. GN X-1683 is 49’1 3/4” long with 20’ long wing blades. GN X-1683 at Superior, WI in 1973. Cordell Newby photo from the GNRHS Archives. At an unknown date and location GN X-1683 derailed while removing snow. 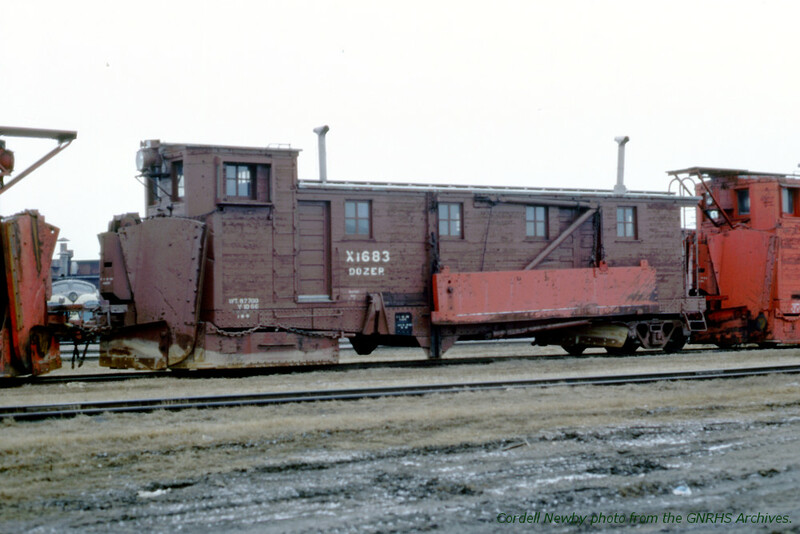 Records show X-1683 assigned to Cass Lake, MN in 1931-32 and 1937 with pusher engine 1142 was assigned to the Mesabi Division in 1936, 1942 and 1949 so this may well be in that area. 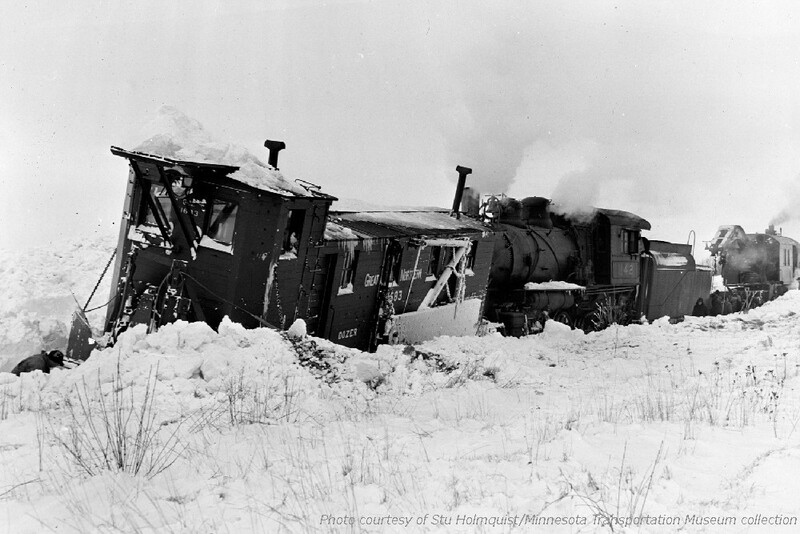 Photo courtesy of Stu Holmquist/Minnesota Transportation Museum collection. 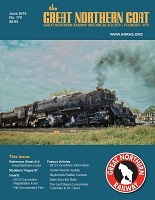 The Great Northern “Safety First” logo is still visible on the rear platform. Hybrid 1936/1967 GN logo with fake GN 126302 number. 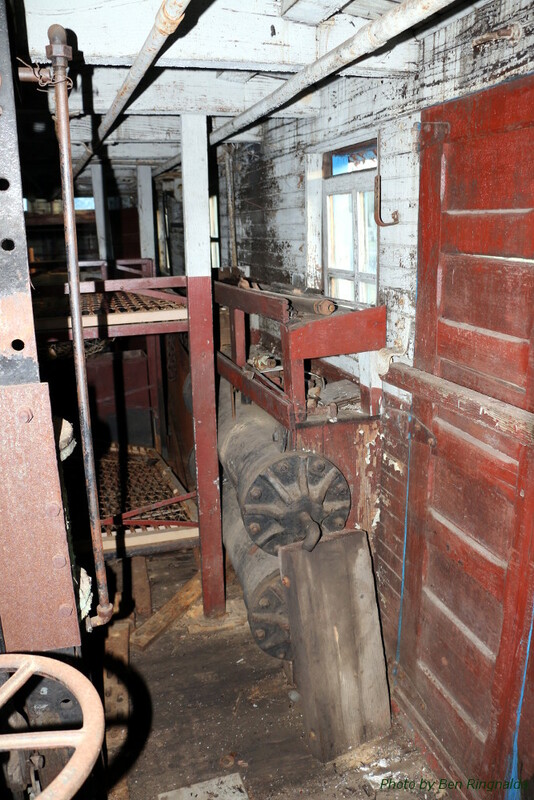 Tucked behind the bunk beds are the cylinders used to raise the left wing blade. 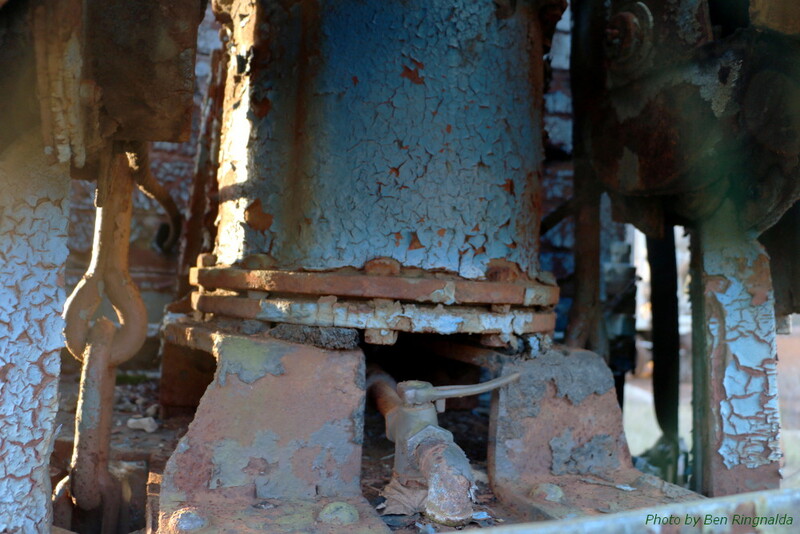 Front wing air cylinders with the oil tank and the pan of the missing stove above. The cylinder that operates the front flanger is located behind the front wings.